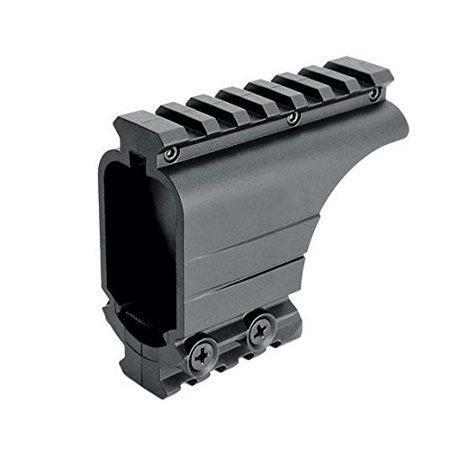 Heavy duty reinforced polymer bridge mount allows easy mounting of optics to your handgun without modifying the host firearm. The Bridge Mount attaches to the pistol's accessory rail. With M1913 rails at both 12 and 6 o'clock, the user does not forfeit the ability to attach lights or lasers. Reinforced polymer construction. M1913 compatible rail at 12 and 6 o'clock. Easy installation/removal. Available for railed SIG SAUER pistols or any pistol with M1913 accessory rail.